Here’s my kuuma. Have used it for 2 yrs. now. Works sooo good. Should have gotten the smaller one. 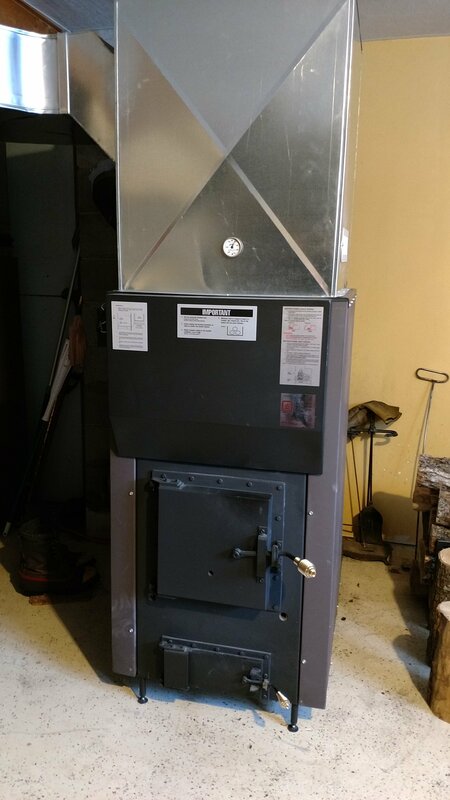 Heating 2400 sq. ft. no problem. Chimney staying clean. Checking monthly. Cutting my wood shorter now. Old stove was chewing it up , with more length. Saving on shorter pieces, plus using less wood. Holds coals all nite, even way below zero. I also had lots of beginner questions. Darryl answered them all. 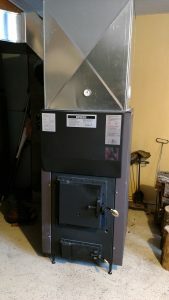 Thanks for a great furnace, it’s not a Woodstove. Lol.